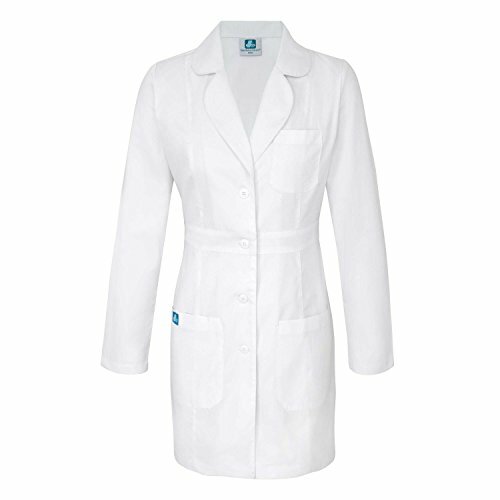 Beautifully detailed lab coat in a very feminine silhouette is a great addition to any professional's wardrobe. Shapely front princess seams and center back seam provide great fit. Narrow attached midriff adjustable belt defines the waistline. Seamed pen section enhances the functionality of the roomy patch pockets. Stitched seams throughout. Center back length 33" in size M.